Ayyyyyyy? With this Graphic T let them know that ?this guy/girl? is where the fun is at. 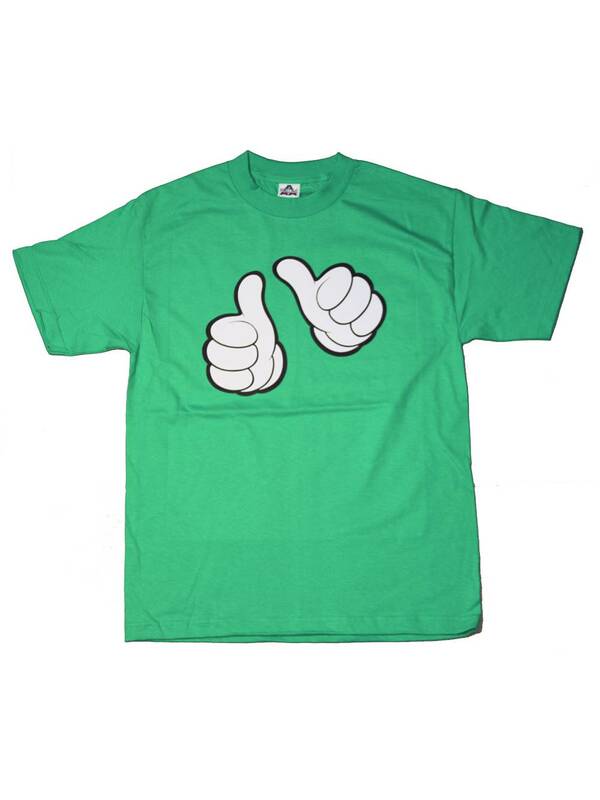 Show the public you have more than just one thumbs up to throw around with cheeky humorous T available in sizes Small - 2XL and in colors light blue, blue, red, orange, pink, green, purple, and black. It?s a good day when you can see 2 for the price of one, and with cartoon hands you never know how much that extra bang for your buck is going to get you! Features cartoon hands "Thumbs Up"